We looked at the top 9 Garbage Disposals and dug through the reviews from 114 of the most popular review sites including Consumer Reports, Garbage Disposal Reviews and Tips, Disposal of Garbage, ratingle, Mr. Garbage Disposal, Disposal Tools and more. The result is a ranking of the best Garbage Disposals. Our experts reviewed the top 9 Garbage Disposals and also dug through the reviews from 114 of the most popular review sites including Consumer Reports, Garbage Disposal Reviews and Tips, Disposal of Garbage, ratingle, Mr. Garbage Disposal, Disposal Tools and more. The result is a ranking of the best of the best Garbage Disposals. A 1.0-horsepower motor makes the InSinkErator Evolution Garbage Disposal one of the most powerful on the market. You'll be able to attack even the most stubborn waste with this disposal. Thanks to SoundSeal technology, you'll also get a quiet grinding experience from start to finish. DWYM Kitchen Experts plus BestReviews, Consumer Reports, Healthy Kitchen 101, Village Bakery, Consumer Search, Jen Reviews and 3 more. Along with user reviews from Amazon and InSinkErator.
" Extremely quite and efficient." Fully galvanized internal parts will ensure the InSinkErator Badger Garbage Disposal runs reliably for many years. If you're on a budget, you'll love the price on this garbage disposal, which also has an easy-to-install mounting system. It's extremely small, making it ideal for households with limited space under the sink. DWYM Kitchen Experts plus BestReviews, Best Reviews Guide, Mr. Garbage Disposal, Garbage Disposal Reviews, Disposal Suggest, Disposal XT and 3 more. Along with user reviews from Amazon, Walmart and InSinkErator.
" All internals are galvanized, and the machine is known to be extremely durable." "On a side note, you will need to buy a separate power cord for the Badger 1 since it doesn’t come with one"
A 0.5-horsepower motor helps the Waste King Legend Series Garbage Disposal grind up tough food particles. This continuous feed disposal features stainless steel construction so the impellers are less likely to rust over time. It will also help resist clogs. The low price point makes this garbage disposal popular with consumers. DWYM Kitchen Experts plus BestReviews, Disposal Suggest, Mr. Garbage Disposal, Disposal Tools, Disposal XT and 1 more. Along with user reviews from Amazon and Home Depot.
" Extremely durable stainless steel impellers won't rust and are design to reduce jamming to a minimum." "Not a good choice if you are looking for a super-fast model disposing of huge amount of wastes"
Although a little noisy when you first insert a food item, advanced insulation keeps the General Electric Continuous Feed Waste Disposal quiet. It retails for less than $100, making it budget friendly. You'll also find it's easy to install, thanks to its mounting system. DWYM Kitchen Experts plus BestReviews, Beasts Live, The Architect’s Guide, Disposal XT, Mr. Garbage Disposal, Disposal Suggest and 1 more. Along with user reviews from Amazon, Home Depot and Best Buy.
" Powerful, quite and undoubtedly durable." "Although it boasts "EZ mount installation," most people will still need a professional for power connection." We identified the majority of the garbage disposals available to purchase. 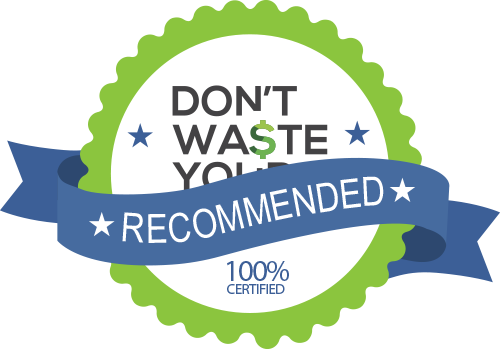 Reviews from our DWYM category experts and analysis of some of the most respected sources including: Consumer Reports, Garbage Disposal Reviews and Tips, Disposal of Garbage, ratingle, Mr. Garbage Disposal. We also incorporate user reviews from the leading retailers including Amazon, Home Depot, Best Buy, Walmart, InSinkErator. With the Evolution Excel, noise should not be a bother because of the Sound Seal technology – a combination of advanced insulation and anti-vibration mount and tail pipe. InSinkErator Evolution Excel 1.0 HP Household Garbage Disposer comes with three stages of the grinding. Its sound seal and multi grind technologies can grind quickly all virtual food waste. In professional tests, it reduces food waste to tiny fragments, and users say it chews up anything they throw into it. It’s most unique feature is how environmentally friendly this best garbage disposal unit is on the market; it makes an excellent eco-friendly alternative to transporting food waste to landfills. Powerful motor with exclusive two-stage grinding that liquefies food waste. One of my favorite features of this garbage disposal is the fact that it has a jam sensor circuit that automatically detects jams and cranks up the motor’s power to break through them. More expensive than other unit. Might be a little bulky for cases where under-sink space is tight. Higher price point. Too big to fit in smaller homes, Doesn’t come with a power cord, 110V switch not included. If you’re not prepared to spend the big bucks, this may not be the unit for you as it’s more on the expensive side. Extremely durable stainless steel impellers won't rust and are design to reduce jamming to a minimum. This 0.5-horsepower motor is well-adept at quickly grinding small loads of soft and tough food. Additionally, the disposal comes with a 36-inch power cord already installed, so you don’t have to deal with any electrical work. Excellent for budget friendly purchase. It has saving space design that makes it compact enough to fit right under your sink. Its installation is fairly easy and superfast. It comes with all the required hardware which might be needed to install the motor. Doesn't fit certain cast iron sink types. This motor’s blades are designed in such a way which sometimes produce vibration if the disposal is of high intensity. When dinner’s over and it’s time to clean up, what do you do with all the table scraps? Even if you scrape them into the wastebasket, there will still be some food that makes its way down the drain. A garbage disposal can make life easier, crushing up all that food so that it easily makes its way through your home’s pipes. If your home came with a garbage disposal installed, you may not think much about how it works until it’s eventually time to replace it. You’ll likely find after a decade or so, your disposal reduces its efficiency or begins jamming excessively, at which point you’ll need to get a new one. As you start shopping, you may be amazed at all the choices. Efficiency is the most important factor in a garbage disposal. One with a strong motor will be able to crush even the toughest food fragments. Others will struggle, forcing you to carefully monitor what you put down the drain. You’ll also find that some garbage disposals have built-in technology to prevent jams — a feature that will be very welcome if your current unit tends to clog easily. If you’re replacing an existing garbage disposal, you should be able to make the switch easily, as long as you shut off power to the unit before you start working. However, if you’re installing from scratch, you probably will need a nearby outlet and switch installed. You’ll need to contact a professional electrician to take care of that. Once your disposal is installed, it’s important to realize that it’s not a trash can. You’ll still need to scrape the majority of your food into the garbage, using the disposal only for food scraps. You should also avoid pouring grease or coffee grounds down the drain since that can cause issues. With a combination of the right disposal and good upkeep, you can keep your household plumbing healthy for many years. The InSinkErator Company launched garbage disposals in 1938, releasing the first 58 units to the market. However, it still took time for them to catch on. 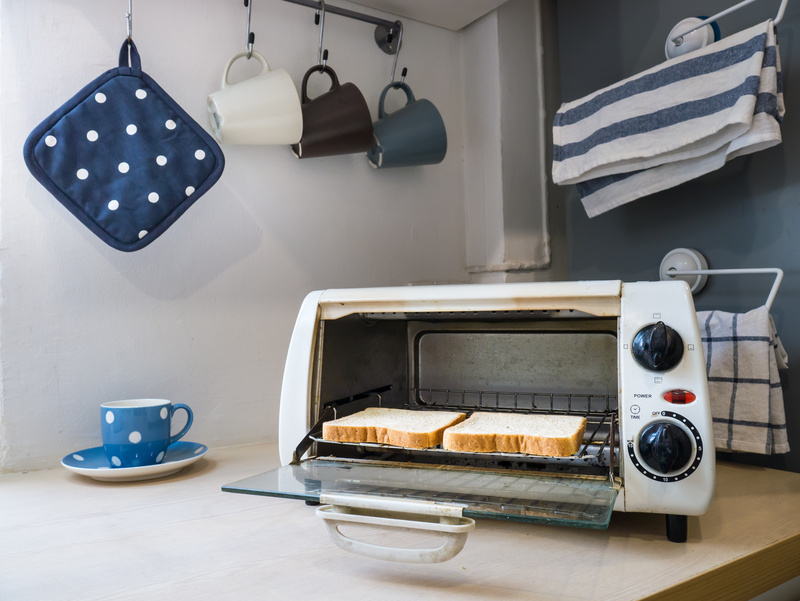 Though originally invented by John Hammes in his home workshop in 1927, it wasn’t until after World World War II, when kitchen modernization was a big trend, that garbage disposals really took off. By that time, InSinkErator faced competition from big brands, such as KitchenAid and General Electric. They continued to grow in popularity until, eventually, they became standard in most homes. Today, garbage disposals can be found in millions of kitchens across the world. If you’re looking for a garbage disposal, the higher the horsepower, the more crushing power you’ll get. The InSinkErator Evolution Garbage Disposal is by far the most powerful, with 1.0 horsepower and three stages of food grinding. This means you can put almost any type of food waste into it, and it will crush it into tiny pieces. The Waste King Legend Series Garbage Disposal also holds its own, thanks to a 0.5-horsepower motor. With the InSinkErator Badger Garbage Disposal and the General Electric Continuous Feed Waste Disposal, you get only a 1/3-horsepower motor, which means you may find they have a tougher time grinding up hard waste. One feature that sets some garbage disposals apart from others is continuous feed. With this feature, you’ll be able to continue to add food to the disposal while it’s running. Most of the disposals you’ll buy today have this feature, including the InSinkErator Evolution Garbage Disposal, InSinkErator Badger Garbage Disposal, Waste King Legend Series Garbage Disposal and the General Electric Continuous Feed Waste Disposal. Garbage disposals are known for emitting a disruptive motor-driven sound while they’re running. But there are varying degrees of noisiness. The InSinkErator Evolution Garbage Disposal builds in SoundSeal technology, which combines advanced insulation with an antivibration mount and tailpipe for extremely quiet operation. The General Electric Continuous Feed Waste Disposal also features advanced insulation to keep noise at a minimum. You will find a bit of noise when you insert larger food items, but after that initial burst of grinding, it calms down quickly. The combination of water and food particles can easily wear down even the best garbage disposal over time. The Waste King Legend Series Garbage Disposal has stainless steel impellers that will resist rusting and keep your system healthy for many years. The InSinkErator Badger Garbage Disposal uses fully galvanized parts, which are known to be extremely durable. However, it can be prone to rusting over time. Having to waste valuable time troubleshooting jammed garbage disposals is no fun. Today’s garbage disposals work to prevent jams using the latest technology. The InSinkErator Evolution Garbage Disposal has a sensor circuit to detect jams. Once one is found, it automatically increases the motor to power through them. The Waste King Legend Series Garbage Disposal uses stainless steel swivel impellers to battle clogs. Although it does pack a powerful motor, the InSinkErator Evolution Garbage Disposal is by far more expensive than other garbage disposals, retailing for more than $350. Compare this to the InSinkErator Badger Garbage Disposal, Waste King Legend Series Garbage Disposal and the General Electric Continuous Feed Waste Disposal, all of which retail for less than $100. If you’re limited in cabinet space under your sink, the bulkiness of the disposal will come into play. The InSinkErator Badger Garbage Disposal is only 7 x 7 x 12 inches and 12.8 pounds, compared to the InSinkErator Evolution Garbage Disposal, which is 13 x 12 x 12 inches and 25.5 pounds. As long as you have a nearby outlet and switch already installed, you should be able to install your new garbage disposal without professional assistance. It’s important to shut off power to that area of the kitchen at the circuit breaker before you start the installation. The InSinkErator Badger Garbage Disposal and the General Electric Continuous Feed Waste Disposal both boast easy-to-install mounting systems. Before you purchase a garbage disposal, make sure it’s compatible with the sink you already have. The Waste King Legend Series Garbage Disposal, for instance, doesn’t fit some types of cast iron sinks. For the Garbage Disposal category, we analyzed 114 of the most popular reviews including reviews from Consumer Reports, Garbage Disposal Reviews and Tips, Disposal of Garbage, ratingle, Mr. Garbage Disposal, Disposal Tools and more. The result is a ranking of the best Garbage Disposals.